Looking for a nice 6x6 for a project? Look no farther!!! 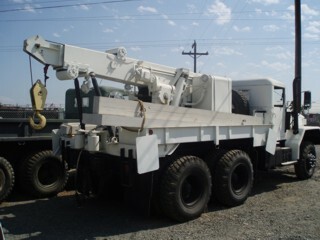 This Truck is in Good Running Condition, Comes with Front Axle Air-Locker. This is our middle of the road priced 6x6, in Good Running Condition. Comes with Cab Heater, which is quite Rare!! This truck is our pride and joy, in Immaculate Condition, Very Clean. It has to be one of the nicest Deuce and a half I've ever seen, and at this price, what a Deal! !